Well, we finished our 2 month mark of reading through the Bible together! That is a huge accomplishment for us. 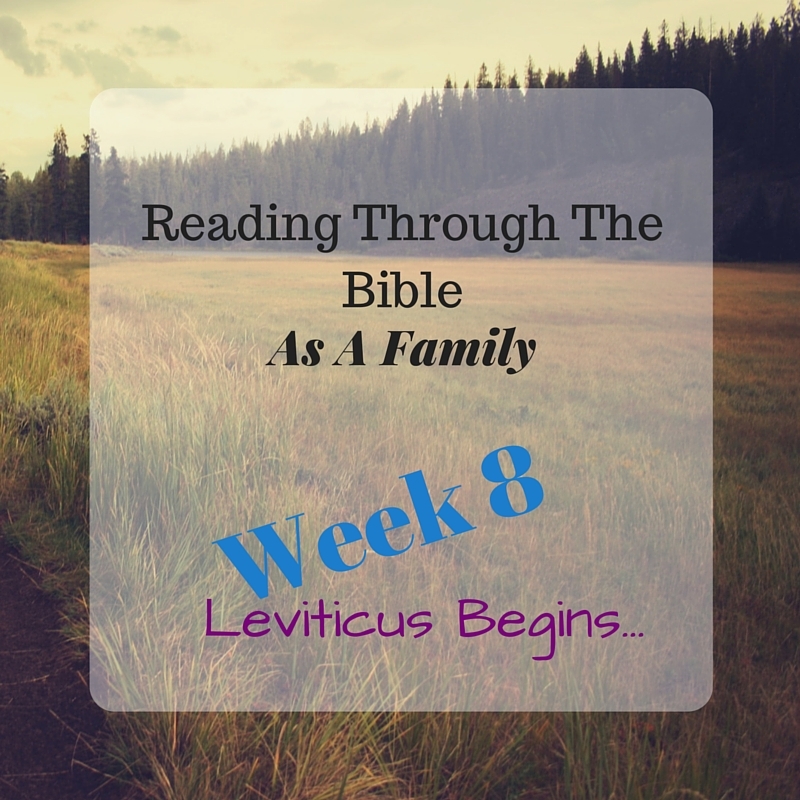 This week we started the book of Leviticus. 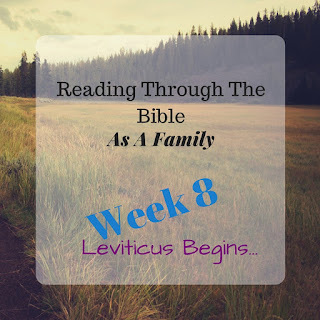 When you flip open your Bible, and it just happens to open to Leviticus, it isn't one of the books that you probably stop and say, "Oh, Leviticus... yes, I love this part." With that said, my husband and I went into it kinda dragging our feet because we knew it wasn't like Genesis or even Exodus as far as excitement level. However, I kid you not, the kids STILL would stop us and point out something or ask a question. As I would read it out loud to them, trying to help them understand why this was so important, or why God wanted this in the Bible... the Lord began showing me some wonderful lessons. God was not giving them these tedious instructions just to give the children of Israel something to do. He wasn't even giving them all these guidelines to be harsh or mean. God gave them these instructions because he loved them. It is just like a parent and a child. As a parent, we know certain information that our children have yet to learn or understand. For instance, as parents, we know we must wash our hands to keep germs from spreading to make us sick. Children do not understand this, but must rely on their parents to teach them to wash their hands to stay healthy. God was doing this with the children of Israel. It was for their own good that he gave them these detailed instructions about washing their clothes and their bodies after coming in contact with leprosy. He even goes as far as telling them to clean their furniture! God was teaching His children to be obedient... a crucial lesson to be instilled early. I could go on with how these passages are relevant to us today, but I will save that for another day. I'm thankful for this special family time. I hope you will join us as your family begins the journey of reading through the Bible together as well! Like our Facebook page to keep up with our latest adventures and more.